Aaron the poker game is up, buddy. Emery gave you his Paddington stare and you blinked, and the contract is no longer on the table. You may value your contributions to the team – and who will quickly forget your FA Cup final goals? – but Unai can do without you; and so, he was not bluffing when he said you sign that thing now or it is Diolch and Bore Da (thank you and good morning). With Torreira, Xhaka, Guendouzi, Elneny and AMN, Unai has five deeper midfielders who can all push up and support the attacking ‘Nr10’ midfielder. That Nr10 role is for the one who wears the shirt, and it is now clear to all of us that combining you with Mesut is just not working. With these pushing-up, all-round midfielders who can defend and support attack in equal measure and with high levels of discipline, the one in the hole needs to be comfortable with receiving the ball in tight areas and with finding space where there does not seem to be any and producing those fine, well-weighted passes. This my friend is not you. You devour space and need it to thrive with that big engine of yours, but it is not what the new Arsenal system can offer you. We have Mesut and Mkhi, and Iwobi and Smith-Rowe are making rapid progress to become the new Master of the Hole position. It could (still) work if YOU would play on the right with discipline and dedication and leave the middle to Mesut, but this just seems beyond you. After 10 years at the club, you should be making the difference now, but you are not and the new manager has decided he can do without you. There comes a time when you have to fulfil your promise and it is sad this has not happened at the home of football. I was there when the vile Orcs snapped your leg; I have defended and supported you through numerous posts here on BK and other blogs for many years; I had high, high hopes that you would become a modern-day-legend for our club. There were moments and even a season or two in which you delivered but you never really got to where I thought you were capable of ending up: our new Vierra, our Lampard or our Gerrard. A real shame. I know there were regular injuries but something else is missing, call it focus or hunger or intrinsic pride for the shirt, or presence or leadership or desire. Whatever it is, it is missing. You should have signed that contract a long time ago, but you didn’t, and that said/says it all to me. Use the next few months wisely and make a move that works for you, and not just in terms of status and salary. The mention of Frank Lampard– are where my expectations of Ramsey lay. 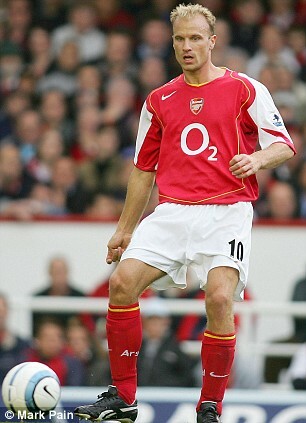 He looked for all-the-world capable of attaining that style of influence on the pitch at Arsenal. In lieu of waxing wistfully of what Aaron might-have-been from a Gooner’s perspective– I’ll sum it up simply. Aaron Ramsey never became that player (like a Frank Lampard), whom opposing fans despised– but just could not help but admire. TA ….. am suprised that this post makes my heart heavy like am bidding farewell to a dear one. I never thought I’d miss him. I felt it when Diaby had to go. But I shrugged my shoulders. Same with Jack. I wished that Rosicky could play on and on. Santi too. I was glad to see the back of Alexis, never missed Walcott, With Giroud I was like a paid professional assassin; Auba and Laca around simply meant Giroud had to go. Why this heavy heart for Ramsey? Has your post caught me at my most vulnerable? I don’t know. What I know is that Ramsey’s undisciplined use of space has denied him his good chance to greatness. Conjure a picture of Ramsey marshaling the central midfield: tackles and interceptions all day long, simple passes to team mates, never an extra unnecessary touch of the ball, no hollywood stuff, once in a long while late run into the box and bang! This has been very much within his reach and the whole team would have been looking up to Captain Rambo …. … maybe it’s this that never became that is my heavy heart. TA, you said it as it is. That was brave. Great post Total, I can’t disagree with any of it, I always liked/like Aaron, but I always felt that he could give more, as he always did for Wales where he was a major contributor to their recent successes. Maybe it’s just his laid back character, but I bare him no ill will, because ultimately Arsenal are to blame, just as they’ve been since Walcott rinsed us for that contract he never deserved. You know we all make mistakes, but the secret is learning from them, because continuing to repeat those mistakes is the height of stupidity and Arsenal have been stupid in the extreme with some of their contract negotiations. Do I blame Gazides, the Board, the Owner, or is it a combination of all of them to have not shown more urgency with this matter? All of these contracts should have been dealt with ages ago, no player should ever be allowed to run his contract into his final year, unless you’re 36 (Cech), there is simply no excuse. We saw how this is costly when we signed Sol Campbell in 2001. That was 17 years ago and we’re still making a horlicks of it…. What’s galling is the fact that in his days as that potentially, great young midfielder, he could do all the stuff PE mentioned. Rambo could play as a defensive midfielder, tackle well, make the simple passes, stay disciplined and when the opportunity presented itself, could dart into the box to bang them in. Not sure if it was the leg break (resulting in a desire to make up for lost time) or just a need to take the extra touch, overplay a simple move or the need to do something spectacular, (even the thought of his last big contract on his mind), he just recently started to look all over the place even when playing a role and winning us the FA cups. It’s rather unfortunate. I like Ramsey for his endeavour but he did start to frustrate; especially when the contract was there to be signed. I don’t know what to believe but if he sought anything more than a £180k per week contract, he wasn’t be8ng fair to other professionals who are more effective, with a definite role in their teams. It’s a good thing we have a good bunch of midfielders to pick from as his replacement; not happy to see him leave but if that’s what it has to be, then so be it. He won’t be greatly missed. By the way, I am not sure why most headlines I have seen on this story suggest he will leave on a free. We can sell him in the January window and cut our losses, surely. We paid, what, £12m for him and he’s done his bit for 10years and only started earning £100k+ per week at his last extension so, I feel all the parties can feel satisfied, if he gets a club he won’t mind joining and we get as much as £15m for him. Anything above that will be a bonus. I’m not a big fan of this website (they seem to be a ‘regurgitator’). But what Football.London reports in this post has more than a few bits that seem to make sense in as far as the timeline of recent events and the changes to the power-structure at the club– in the wake of Gazidis’ departure– and Sanllehi’s ascension to DoF. All Ramsey needed to do is sign when it was offered– and he’d be settled. I’ve long-stated here that the club has developed the apparatus to replenish talent from within. Sanllehi had been a cornerstone of a world-class system– that set a foundation (for more than a decade) of the club that has arguably been the best of its’ era. I’m feeling confident about the man making the club’s contractual decisions at present. If Arsenal are ‘all business’ from here on out? Then maybe it’s OK– to come in off the ledge now? SENT A MAIL TO YOUR BOX.